In addition to serving as a California firefighter and training captain for the Napa County Fire Department, Ryan heads up the Napa County Firefighters Association, a nonprofit organization that supports area fire departments with training and other services. On March 26, Ryan was on hand to accept a donation of 2,000 pounds of CytoSport products in honor of the association and the work of Napa Valley firefighters. 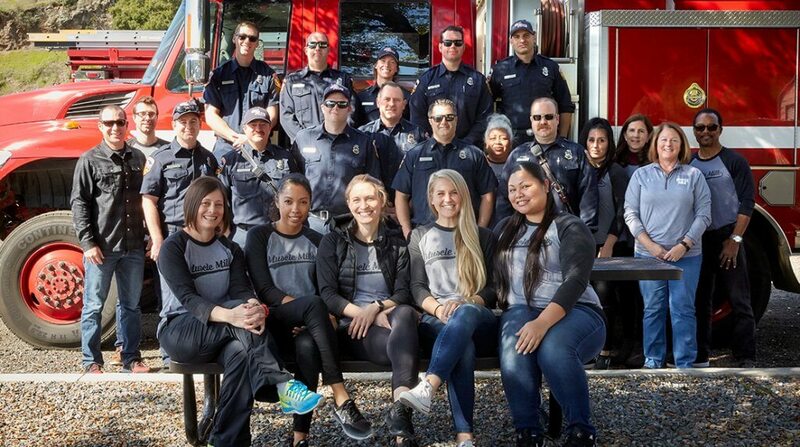 Courtney Nordine was one of the CytoSport employees who made the one-hour drive from Walnut Creek, Calif., up to Yountville, Calif., to thank Ryan and other firefighters for their extraordinary service. Courtney, who works in sports marketing, remembers standing by last fall as her supervisor prepared to evacuate her home. Courtney’s assessment isn’t far from the truth. Some firefighters knew their homes were burning, he says, but left anyway to help save the residents of Napa County. 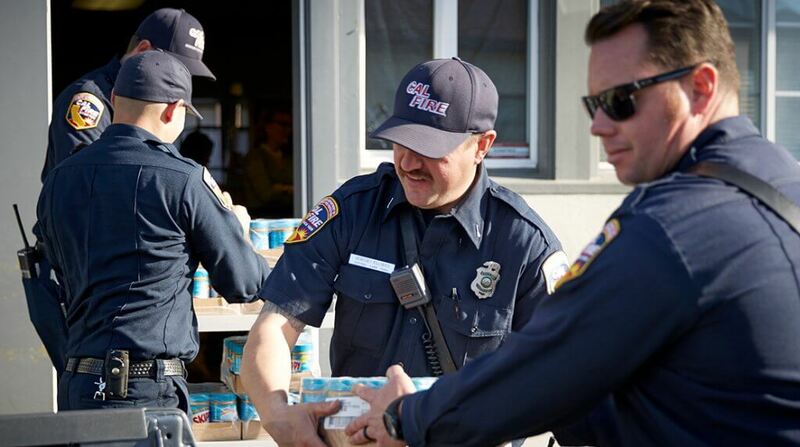 After CytoSport honored the Napa County Firefighters Association, other members of the Hormel Foods team – and a handful of firefighters – headed over to CANV (Community Action of Napa Valley) Food Bank to pack the pantry with 1,200 jars of SKIPPY® peanut butter and to give the organization a check for additional supplies. The visit was funded by Hormel Foods in partnership with the Safeway grocery chain and specifically, its store in Napa, Calif.
Days like these serve to remind Elisa Ulaszek why she abandoned her career in finance to step into the role of program coordinator for the food bank. CANV Food Bank works with lower-income neighbors and nonprofit groups throughout Napa County, providing nutritious food at seven locations in the Napa Valley. Though the wildfires are no longer front-page news, area residents are still feeling the effects. Brittany Turner, a category analyst early in her career with Hormel Foods, was eager to be part of the project. She believes the company’s history of strengthening communities is its most important mission. In that environment, people are transformed, with something as simple as peanut butter taking on a new meaning. “We want to give people hope that there’s going to be an OK tomorrow,” Brittany says.